tough and rugged vehicle that can meet your needs. Antenna removed on vehicle shown. . The Stripped Chassis provides the framework for your business. It’s available in several configurations and wheelbases to meet your needs. The Stripped Chassis can be used for a work vehicle or provide the base for a motorhome. 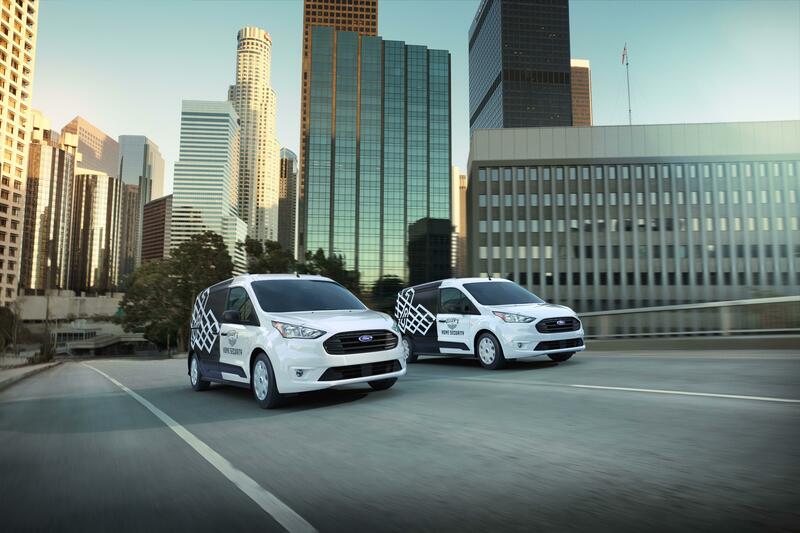 The 2019 Ford Transit Cargo Van features light weight yet durable unibody construction and is available with your choice of two wheelbases, three roof heights, three body lengths, and a choice of three engines. It has GVWRs ranging from 8,600 lbs. to 10,360 lbs., with payloads up to 4,640 lbs. when properly spec'd. *Vehicle shown with optional features and aftermarket equipment. 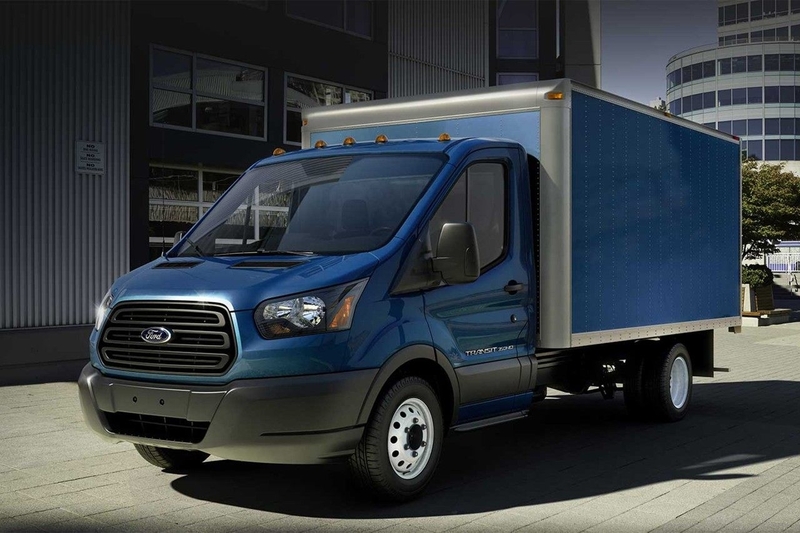 The 2018 Ford Transit features lightweight yet durable uniladder construction with a wide range of upfit options to take on the toughest jobs. It has GVWRs ideal for heavy service. 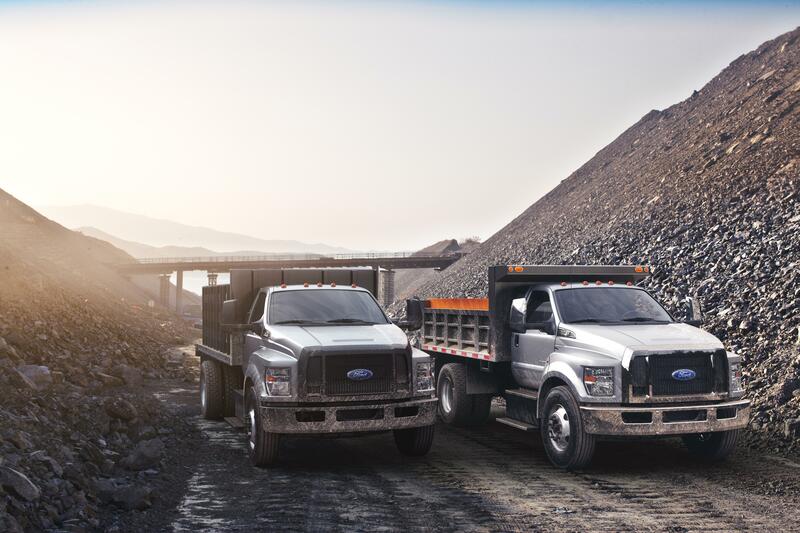 Like previous generations, the 2019 Super Duty® Chassis Cab is tough, smart and capable. Its high-strength, military-grade, aluminum-alloy body is lighter than steel – resulting in weight savings that are beneficial to the everyday workload. Also, Super Duty Chassis Cab offers more dent and ding resistance than did previous generations. The guys who own work trust the capable Ford Super Duty® . This truck boasts a fully boxed high-strength steel frame for heavy-duty towing and hauling. 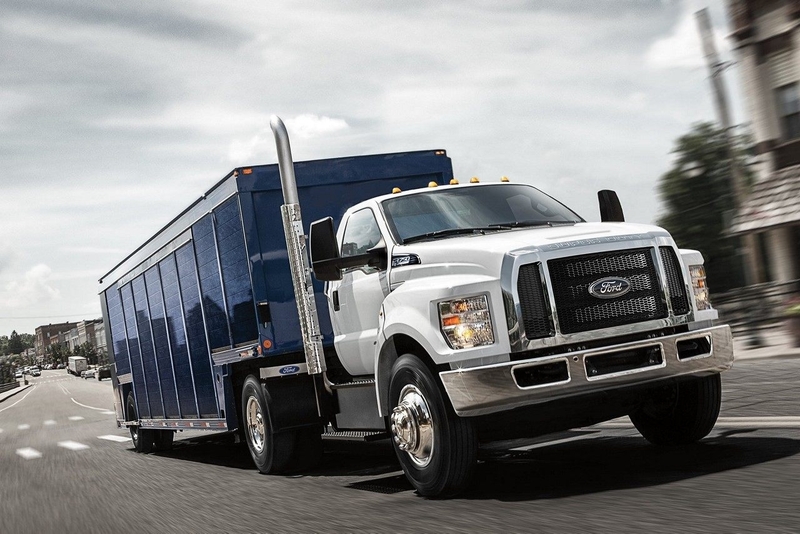 In fact, the Super Duty has a best-in-class maximum towing capacity of 34,000 lbs. when properly configured with the 6.7L Diesel engine. * Both the 6.2L gas engine and the 6.7L Power Stroke® diesel engine have best-in-class torque. * And while it’s a rugged work truck, it also has a very accommodating interior with features that can turn its cab into a comfortable mobile office. The E-Series Cutaway works as hard as you do. 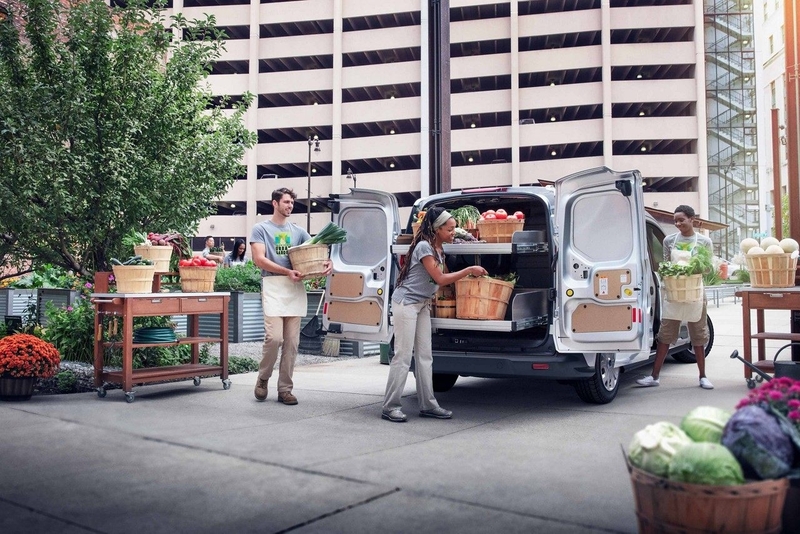 The Ford E-Series Cutaway Vans deliver the capability you need for your business application or recreational activity. 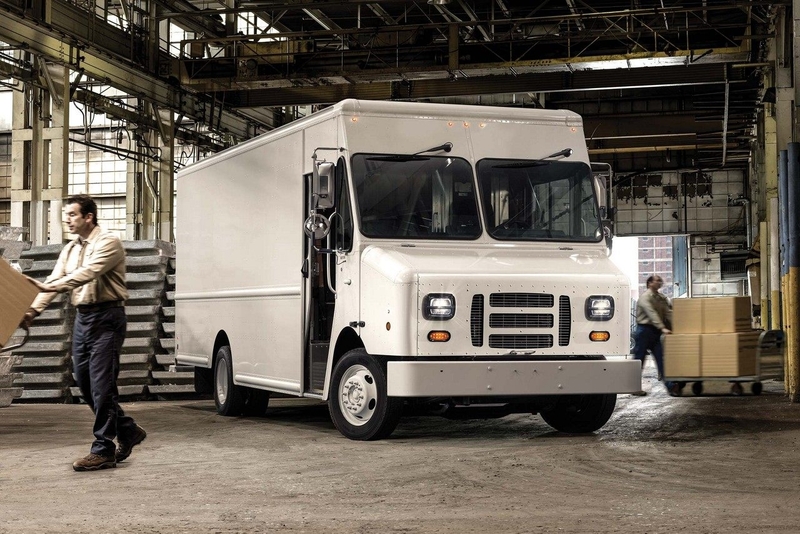 When properly equipped, the E-350 and E-450 can pull up to 10,000 lbs. A variety of prep packages are available – everything from Ambulance Prep and Motorhome Prep Packages to Shuttle Bus and School Bus Prep Packages. *Antenna removed. Vehicle shown with optional and aftermarket equipment. Maximum GVWR of 37,000 lbs. 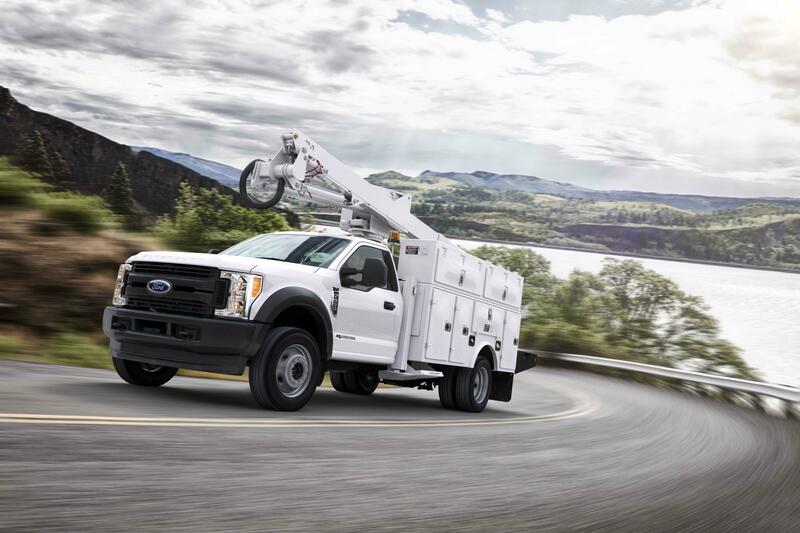 * Put force in your workforce with the F-650/F-750. Ford lets you choose either the 6.7L Power Stroke® Turbo Diesel V8 or the 6.8L 3V SEFI V10 gas engine with 320 horsepower and 460 lb.-ft. of torque. Whichever you choose, it’ll be mated to the rugged 6-speed TorqShift® HD automatic transmission. Thanks to a variety of options – from the interior to under the hood – you can equip the F-650/F-750 to best meet your work needs.